All Secondary Data and Apps. Simplified. Cohesity unifies and radically simplifies all your secondary data and applications, globally. 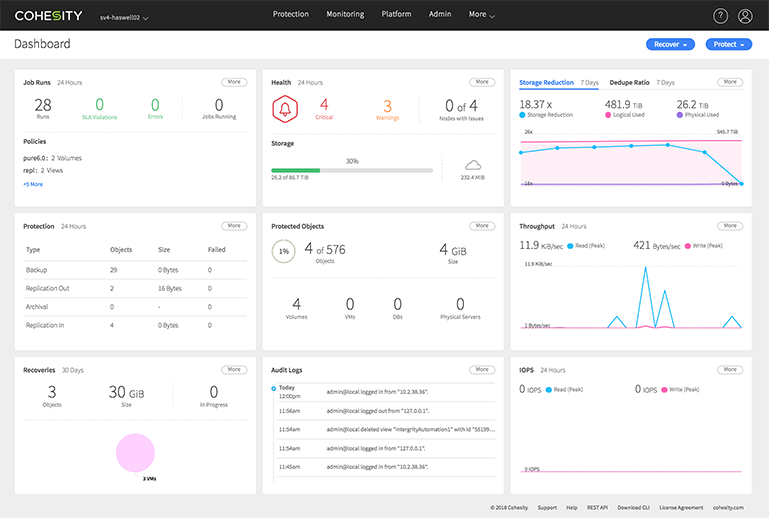 Consolidate all your secondary data including backup and recovery, files and objects, test/dev and analytics workloads on a single, hyperconverged web-scale solution. 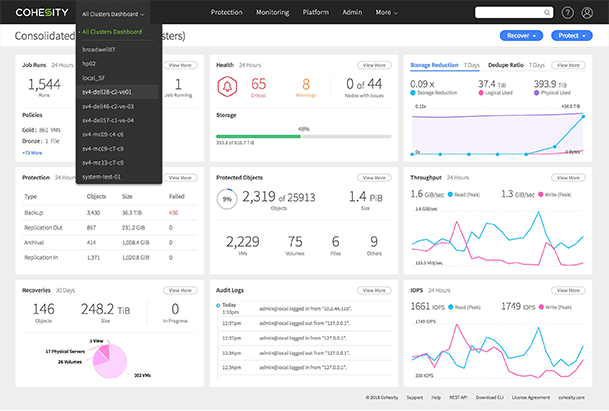 Single modern user interface and operational model for all your secondary workloads. Software-defined solution that easily responds to your changing business needs. Meet your business SLAs with machine driven operational intelligence. Simplify your data protection by combining backup, recovery, replication, and target storage on a single, hyperconverged web-scale solution. 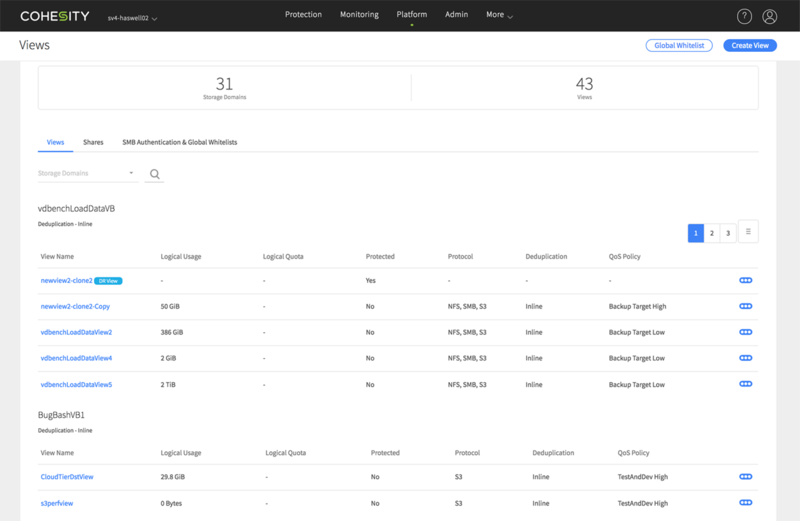 Meet business objectives with policy-based automation for backup frequency, retention of data set, replication and disaster recovery and more. Designed with Google-like principles, Cohesity DataPlatform is a web-scale solution that consolidates all secondary workloads on a single software-defined platform. DataPlatform delivers best-in-class efficiency for organizations to meet their demanding SLAs. 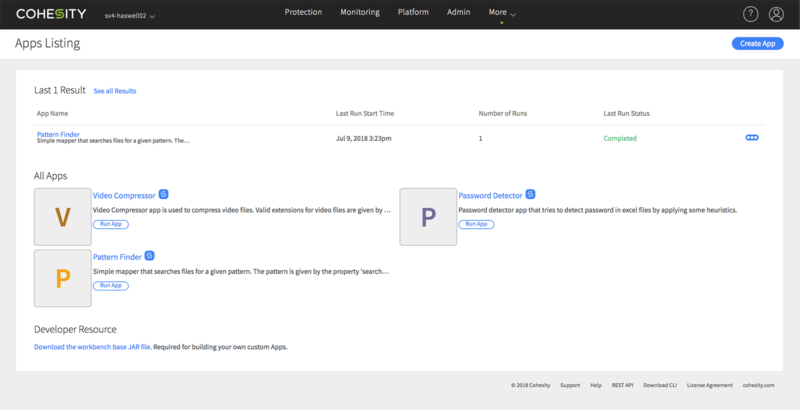 Easily integrate data protection and more for your edge/remote location with your private cloud and public cloud infrastructure with Cohesity DataPlatform Virtual Edition. Simplify your secondary data management for remote and branch offices using the same simple UI, APIs, and policy-driven automation you use everywhere else in your enterprise. 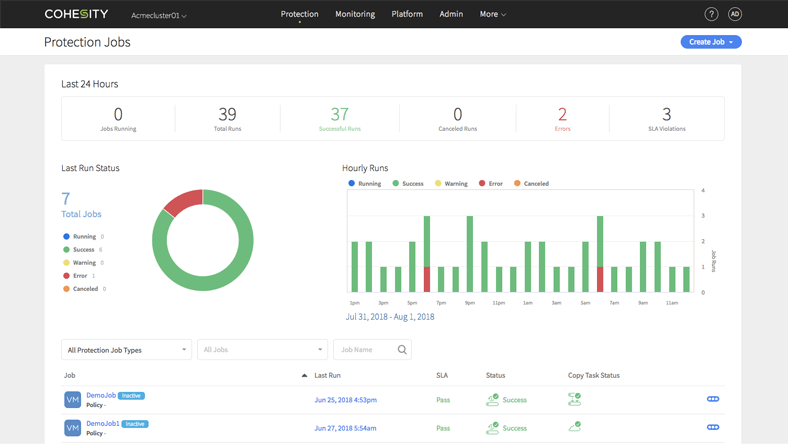 See, manage, and take action on all your secondary data and applications globally — from a single dashboard — while benefiting from powerful analytics and machine learning (ML) capabilities. Harness the power of your data by gaining greater visibility into your data. 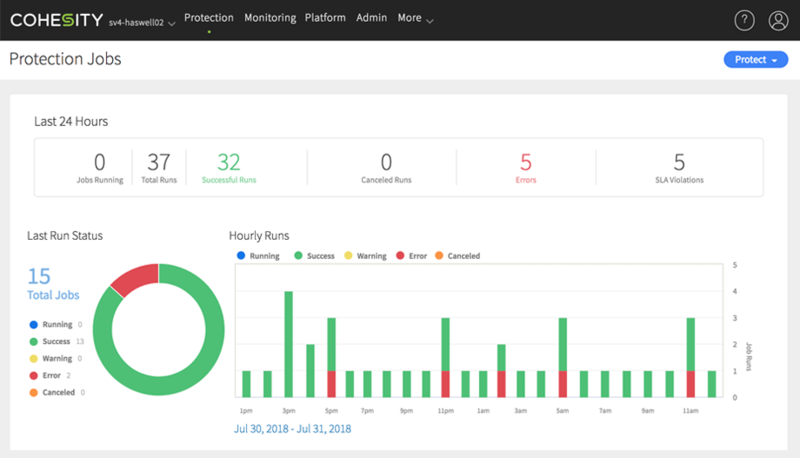 From platform performance metrics to understanding your user data, Cohesity advanced data analytics helps you make informed decisions and meet complex compliance requirements head-on. Cohesity’s scale-out, hyperconverged secondary storage platform allowed us to build a true software-defined data center. With DataPlatform and DataProtect, we pulled the intelligence in the software layer and were able to simplify our overall IT operations. The benefits of moving to Cohesity was simplifying our management. We can leverage Cohesity for everything. Ready to simplify your secondary data and apps?